White and gold is an elegant combination of colors for a wedding. The modest use of color looks very good for the bride with long nails. Subtlety is the key to making bridal nail art look nice. This is a perfect square-tipped manicure. 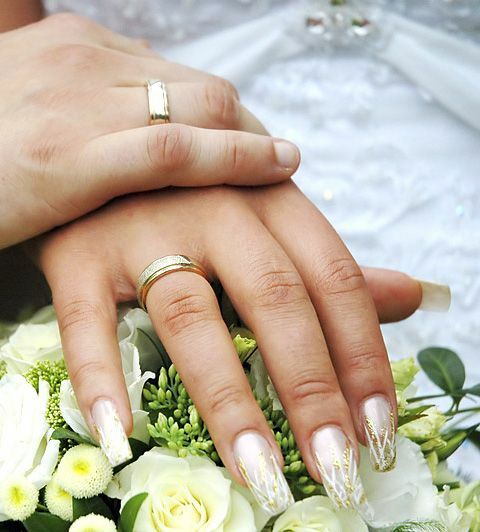 Notice how the long strips of nail art designs make the bride’s nails look even longer.